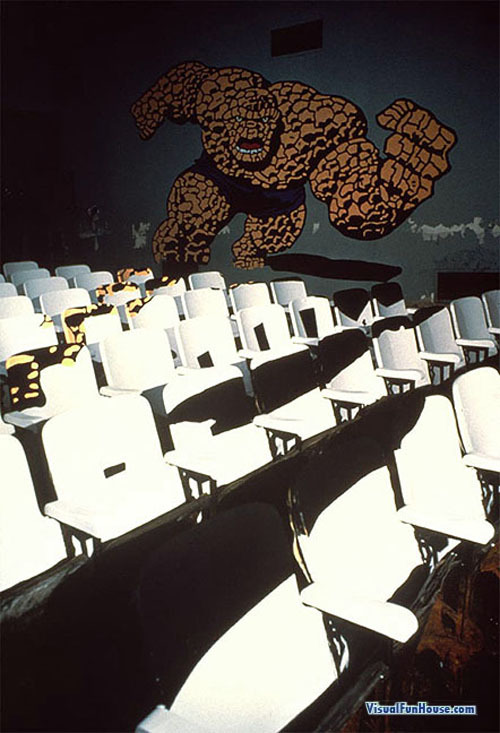 The Thing Theater Optical Illusion was a promotional optical illusion created for the Marvel Comics Fantastic4, in 1981 the PS 31 theater in the Bronx in NY was the lucky subject of this marvelous piece of art. Justen Ladda drew this three dimensional Thing using an image projected on to the seats then painting the areas where the light hit. 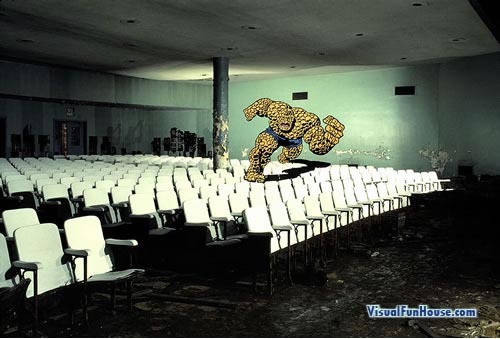 This technique was also used to do the 3D painted rooms.